On Thursday, August 2, participating US Dairy Queen® locations will come together to raise funds for Johns Hopkins All Children’s Hospital. Donations collected on Miracle Treat Day will directly help needs of patients at Johns Hopkins All Children’s Hospital. 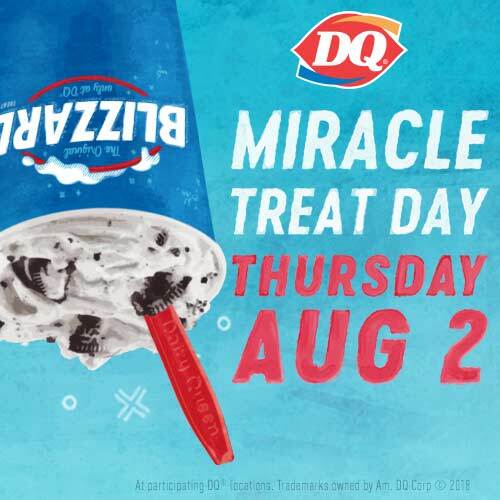 On Miracle Treat Day, $1 or more from every Blizzard Treat sold at participating locations will be donated to CMN Hospitals, which raises funds and awareness for 170 children’s hospitals across the U.S. and Canada. Funds raised locally support advancements made through clinical research. Clinical research allows children like Allie to be able to receive treatment involving the use of anticoagulant (anti-clotting) medication to prevent her deep vein thrombosis from growing or embolizing to her lungs. Last year’s Miracle Treat Day raised more than $80,000 for Johns Hopkins All Children’s Hospital. Since 1984, the Dairy Queen system has raised more than $134 million for CMN Hospitals through fundraising efforts including Miracle Treat Day, the Miracle Balloon campaign and other local initiatives. 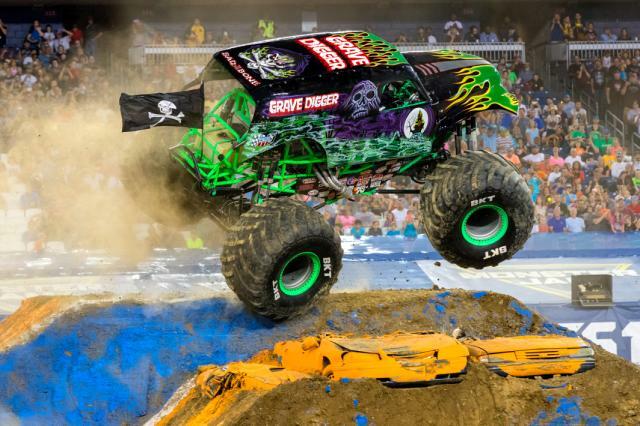 In support of Miracle Treat Day, GRAVE DIGGER® Monster Jam® will make a stop at Seminole DQ from 10am-2pm (DQ Grill & Chill DQ GRILL & CHILL RESTAURANT 10820 PARK BLVD SEMINOLE, FL 33772-544). The Race Team will be on hand with free autographed hero cards, take photos and be guest Blizzard makers! Fans can also pick up discount certificates, available at all area DQ restaurants, for the August 25, tour stop in Tampa at Amalie Arena. “We have customers, employees, and very close family friends who have been treated for life threatening ailments at Johns Hopkins All Children’s Hospital. They are now walking, talking, and working miracles who we get to enjoy every day. We are truly blessed with their presence. They are a constant reminder of how precious (and priceless) life truly is,” said Jon Boeche, DQ Seminole owner. Next post: Great Clips stylist comes to the rescue!